While I am hardly Mike Dent when it comes to tokusatsu I do keep my eye on it. So when everyone was talking about how cool Kamen Rider Fourze was I had to check it out. It turns out they were right. It is pretty out of this world (thankfully I do not constantly make puns like that in the podcast.) When the series was about half done Patz from Insert-Disc mentioned we had to get together and do a podcast on this. We then teamed up with Dave Cabrera as he was periodically talking about the series on his own blog, Subatomic Brainfreeze. 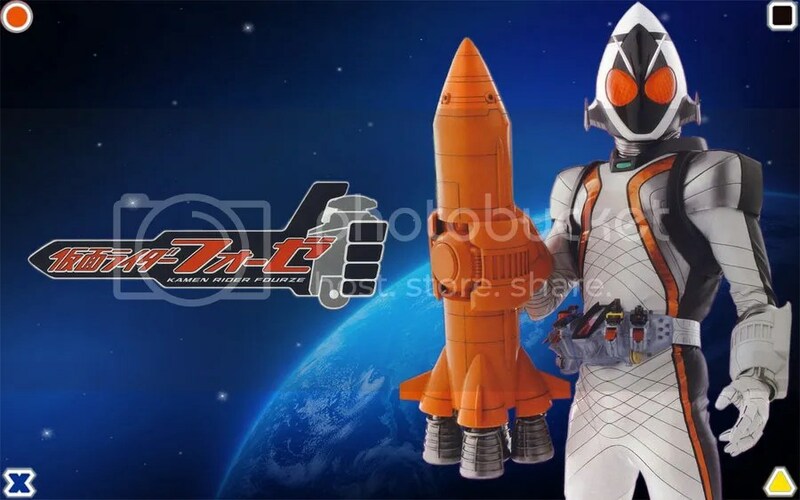 In the premiere episode of the Cockpit podcast we discuss exactly what makes Kamen Rider Fourze so darn super cool. We also go into a bit of the general Kamen Rider franchise as well as the newest entry called Kamen Rider Wizard. So if you like Kamen Rider, tokusatsu, or just campy but awesome things in general you just might want to check this out. The Cockpit – Episode 1 – It’s Space Time!